Mark returns with UCI World Championship Bronze medal. Mark Downey joined the Banbridge CC Saturday training run this morning! 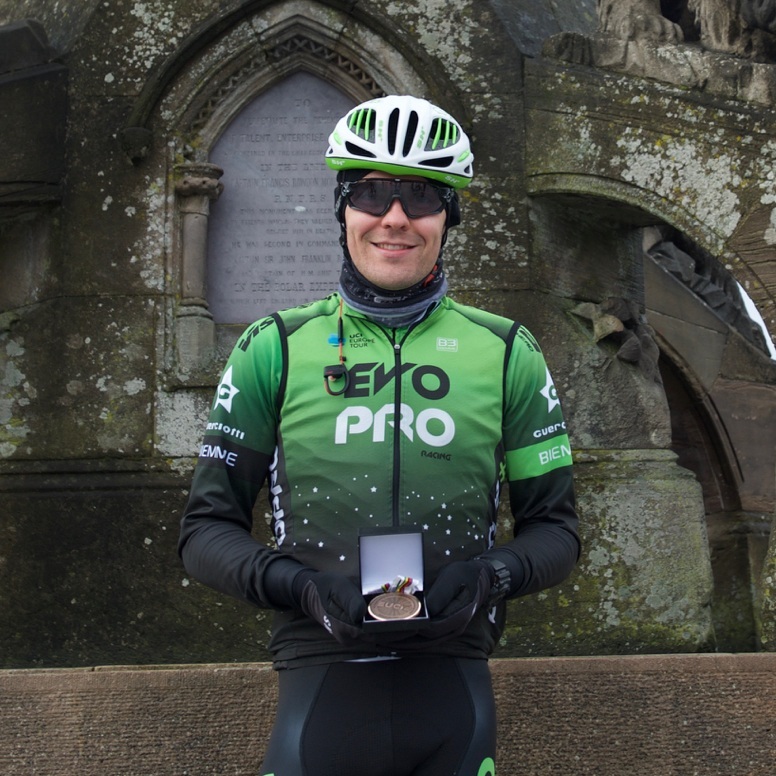 Mark delighted his old club mates by bringing along his UCI World Championship Bronze medal and posing for pictures at the iconic Crozier Monument. We all wish Mark continued success for his UCI Europe Team Evo Pro and World Cup Success for Ireland this year. James Curry, Team Dan Morrissey Pactimo is confident of a good season in the U23 Categories with his new team.